During the wintertime, there are fewer species of birds in our neck of the woods. However, the ones who are year-round and winter only residents really stand out. One such cold weather superstar is our February 2015 pick for our 12 Months of Birding at the Inn blog series: The Pine Siskin. 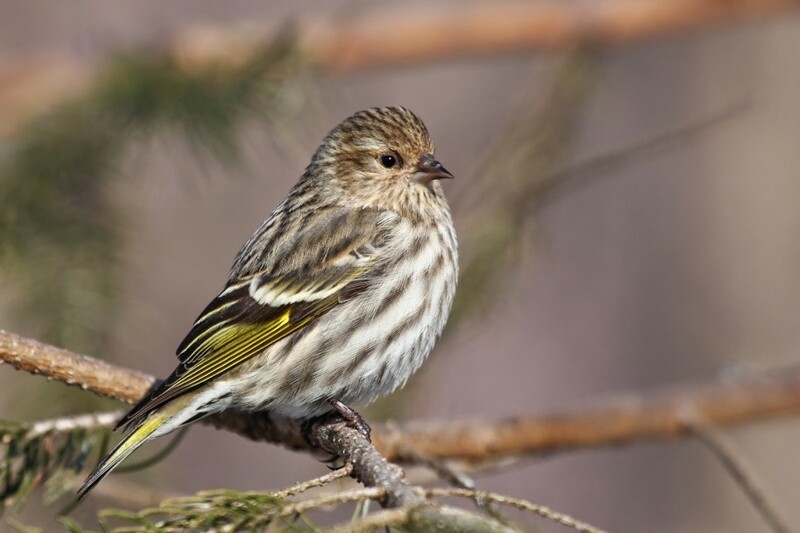 Pine Siskins are small brown and white streaked finches with yellow markings on their wings, thin, pointed beaks and notched tails. They are often confused with House Finches (which have thicker bills and no wingbars) and American Goldfinches (who are stockier and whose backs and chests aren’t streaked). Pine Siskins like cool temperatures and live year-round in southern Canada as well as in parts of the western United States. But in wintertime, these little nomads set off in flocks to find seed all over the U.S. 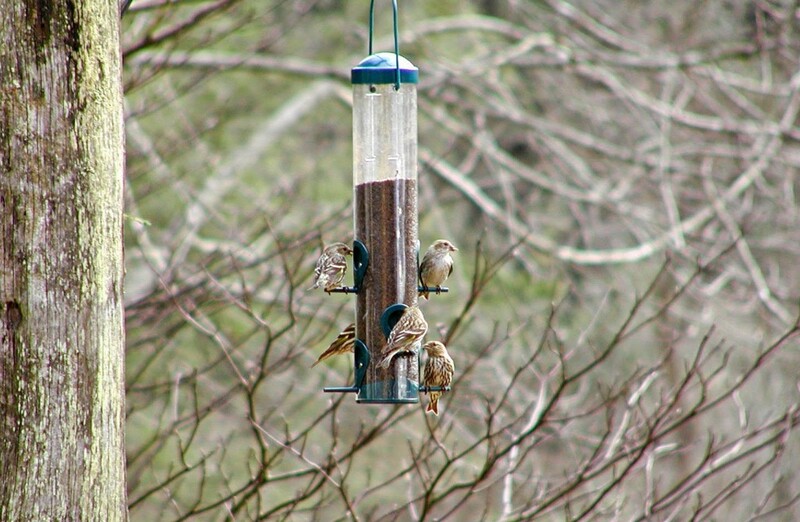 This is when we see them the most at the Inn on Mill Creek’s birdfeeders and flying overhead, usually in good numbers. Not only do they add visual interest to the winter landscape, but they are serious chatterboxes and their nonstop cheerful-sounding tweets help us to avoid the winter blahs.